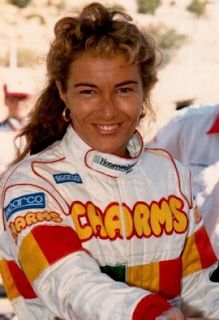 Racing driver Giovanna Amati, the last female to have been entered for a Formula One Grand Prix, was born on this day in 1959 in Rome. 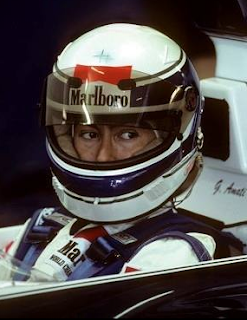 The story of Amati’s signing for the Brabham F1 team in 1992 was all the more remarkable for the fact that 14 years earlier, as an 18-year-old girl, she had been kidnapped by a ransom gang and held for 75 days in a wooden cage. Kidnaps happened with alarming frequency in Italy in 1970s, a period marked by social unrest and acts of violence committed by political extremists, often referred to as the Years of Lead. Young people with rich parents were often the targets and Amati, whose father Giovanni was a wealthy industrialist who owned a chain of cinemas, fitted the bill. She was snatched outside the family’s villa in Rome in February 1978 and held first in a house only a short distance away and then at a secret location, where she was physically abused and threatened with having her ear cut off while her captors negotiated with her 72-year-old father. Eventually, Giovanni is said to have paid 800 million lira (about $933,000 dollars), for her release, having raised the money through a combination of box office receipts from the Star Wars movie playing at his cinemas, and from the sale of some of his 42-year-old former actress wife’s jewellery. Seven of the kidnappers were arrested but the ringleader, a gangster from Marseille called Jean Daniel Nieto, evaded the police and got away. He was caught later after contacting Amati, with whom he had allegedly become infatuated, and agreeing to meet her on the fashionable Via Vittorio Veneto in the centre of Rome. Amati, who has dismissed as untrue newspaper stories at the time that she and Nieto had become romantically involved, returned to normal life and the love of driving she had developed as an eight-year-old, when her father allowed her to drive a tractor on the family estate. She bought a Honda motorcycle when she was 15 and was inspired to race cars by her friend, the dashing young Roman racing driver Elio de Angelis, with whom she attended a motor racing school. She first raced professionally in the Formula Abarth series - effectively Formula Four - before graduating to Formula Three. She won some races in both yet it still came as something of bombshell when she was contacted by the then-Brabham boss Bernie Ecclestone in January 1992 and offered a drive in Formula One. With only weeks to raise the budget she needed to take up the offer, Amati feared she would have to turn down the chance of a lifetime. But at the 11th hour her dream was made possible by an unlikely benefactor, the prime minister, Giulio Andreotti, who had been a friend of her father, by then passed away. Sadly, her excursion into F1 was not a success. 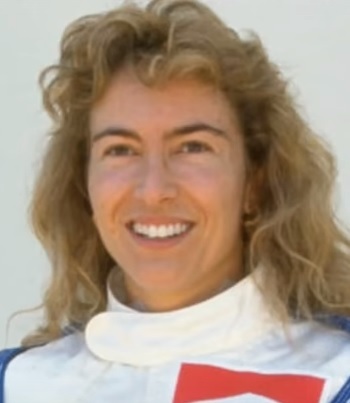 She failed to qualify for the first three races of the season, in South Africa, Mexico and Brazil, and was promptly sacked, to be replaced by Damon Hill, amid suspicions that, at a time when the Brabham team was desperately in need of exposure and cash, hiring a driver who happened to be an attractive, photogenic young woman was all a publicity stunt. It was not the end of Amati’s career. She competed in sports and touring cars for a number of years with some success but by the end of the 1990s she was more often sitting alongside TV commentary teams than in the cockpit of a car. Her compatriot, Lella Lombardi, who started 12 World Championship races between 1974 and 1976, remains in the last female to race in a Formula One Grand Prix. Racing drivers in Rome have never had their own home Formula One event but a Rome Grand Prix took place at the Vallelunga circuit between 1925 and 1991. 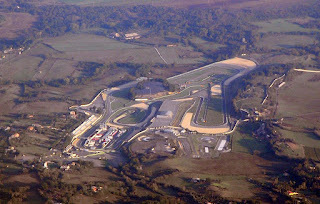 The Vallelunga track is near the town of Campagnano, about 32km (20 miles) north of Rome. 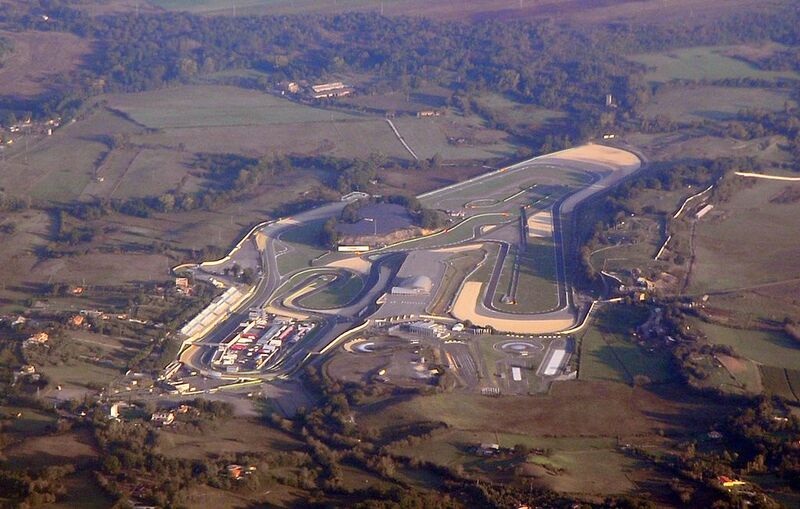 It still hosts race meetings and is used by various F1 teams for testing. The city did almost get its first F1 World Championship event in 2013, when plans had been put forward for a street circuit in the EUR district of the city. The idea was eventually abandoned through lack of support and amid fears that it would undermine the supremacy of Monza, home of the Italian Grand Prix, as Italy’s number one racing circuit. Monza, which has hosted the Italian Grand Prix every year since 1950, is situated about 15km (9 miles) north of Milan. Because so many visitors are interested in little more than cars, Monza’s many notable architectural attractions tend to be under-appreciated. 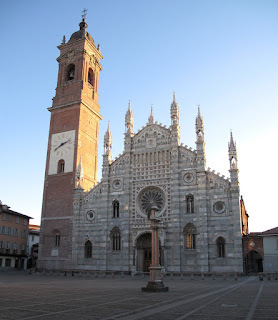 These include the Gothic Duomo, with its white-and-green banded facade, which contains the Corona Ferrea (Iron Crown), which according to legend features one of the nails from the Crucifixion. The crown is on show in the chapel dedicated to the Lombard queen Theodolinda. The adjoining Museo e Tesoro del Duomo contains one of the greatest collections of religious art in Europe.